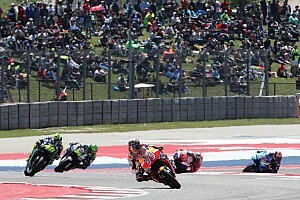 Marc Marquez scorched to his first MotoGP win of 2019 in the Argentina Grand Prix, beating runner-up Valentino Rossi by a commanding margin of almost 10 seconds. 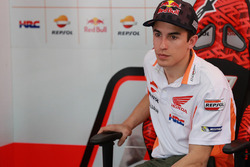 Honda rider Marquez made the perfect launch from pole position to make a break at the start, opening up a one-second lead over a similarly fast-starting Valentino Rossi on the first tour. 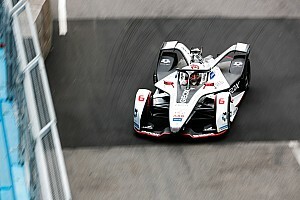 The reigning champion then began to set a fearsome pace that none of his rivals could match, stretching his advantage to three seconds after three laps. 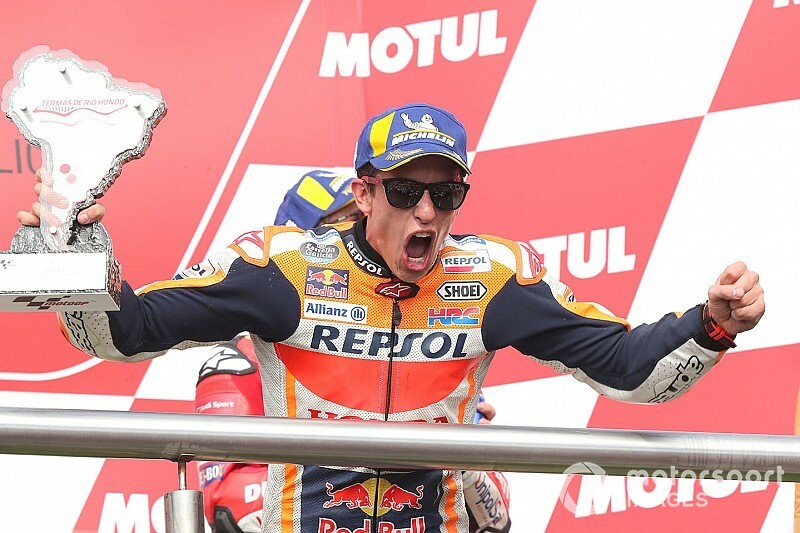 After 10 of 25 laps, Marquez was a full seven seconds in the clear, and his lead peaked at more than 12 seconds in the latter stages before he finally crossed the line with 9.8s in his pocket for his third win at Termas de Rio Hondo. 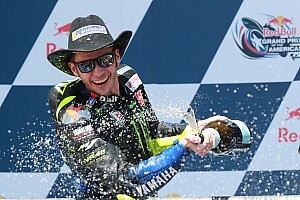 Behind, the battle for second was fought largely between Rossi and Dovizioso, with Yamaha rider Rossi recovering from running wide at Turn 5 on lap seven to retake the place the following tour. Dovizioso found a way back by his countryman on lap 13, but was unable to escape Rossi, who dived back past the Italian at Turn 7 on the final lap to come home second. A frenetic scrap for fourth place went the way of Jack Miller, after the Pramac Ducati rider made late passes on Alex Rins - up from 16th on the grid - and the second works Ducati of Danilo Petrucci. Rossi's teammate Maverick Vinales made a poor start from second on the grid to drop to fourth on the opening lap, and then slumped to eighth on lap two. The Spaniard looked set to take seventh place before being taken out by the Petronas SRT Yamaha of Franco Morbidelli on the last lap at Turn 7. 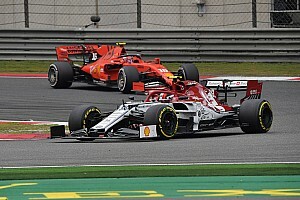 That accident promoted Takaaki Nakagami (LCR Honda) to seventh ahead of Fabio Quartararo (Petronas), Aleix Espargaro (Aprilia) and Pol Espargaro (KTM). 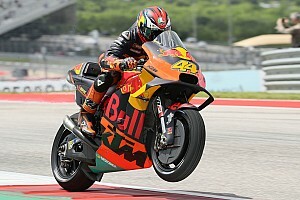 Behind Tech 3 KTM rookie Miguel Oliveira, Jorge Lorenzo brought home the second Repsol Honda in 12th, the same position he qualified, recovering some positions after dropping out of the points early on. Cal Crutchlow (LCR Honda) blew a strong chance to be part of the podium fight with a jump-start, earning himself a ride-through penalty that left him down in 13th. Johann Zarco finished 15th for the second race in a row on the second of the works KTMs, while Andrea Iannone (Aprilia) was last of the finishers in 17th. Both Avintia Ducatis of Tito Rabat and Karel Abraham crashed out, while Suzuki's Joan Mir retired in the pits after a lurid grass-tracking moment late in the race.